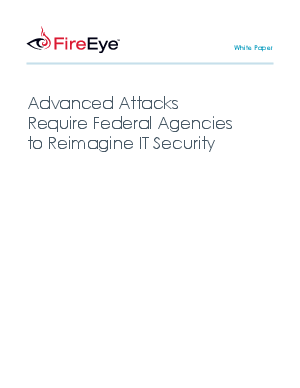 Today's threat landscape has never been more challenging for federal agencies. Governments face a growing torrent of cyber attacks that are growing increasingly sophisticated, stealthy, and dangerous. Legacy signature-based solutions and file-based sandbox analysis cannot detect these advanced attacks, let alone stop them. Without advanced identification and remediation tools, agencies can go weeks or even months before discovering system breaches - long after the damage is done. A reimagined approach to IT security.